This week was our final week of Dance for the semester! 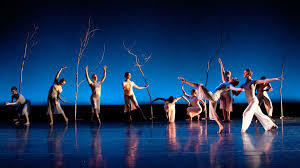 The main focus was on the cross curriculum link between dance and literacy and how Teachers can Integrate dance within other subjects to help build student engagement and creating a connection between literacy and movement (AusDance, 2012). We explored different activities that helped reinforced the images and words from the stimulus. One of my favorites included using one of the words from the word bank and having to use our bodies to represent that word. We then had to find our ‘opposite’ without using any words while we travelled around the room. I look forward to implementing this activity while on my future practicum. We also played a game called ‘Pass on the action”. Where we had to copy an action and pass it on to the next person in a similar way to Chinese whispers. This game was great to help with quieting down the class, as it requires great concentration and communication skills. During our tutorial we were placed into a partnership where we were asked to represent a stimulus. My group was given mirror, so we had create a dance where we were mirroring each others moves within the space provided. During our dance my partner and I decided to use levels (high and low) and mirroring different directions (left and right) to create an interesting effect. During this weeks tutorial we explored dance, using dynamics (Gibson, R. el at 2011). We first began to explore the space by simply moving around the room to music. Our tutor called out different directions such as quick or extended; direct or indirect; and light or heavy to move through space. It was explained that this would be a good warm up activity to use for all stages. 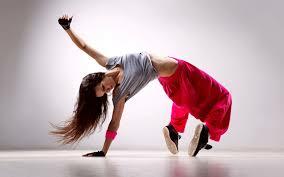 As it allowed for the dancer to simply perform the first, natural move that comes to mind with the associated word. These activities lead on to group work where we experimented with ‘greetings’ (kiss, handshake, wave, bow) and we also used some key verbs on the whiteboard to help us perform these greetings (dart, smooth, float, dash) as a stimulus. Using all of these different elements our group had to create a 2 8 beat dance to the track “Revolting Children”. Once all groups were competent in there 8 beat dances, we all a our class danced together with the help of timing from our tutor. This dance was successful as it was well scaffolded from the start of the tutorial. Gibson, R., & Ewing, R. (2011). Transforming the curriculum through the arts. South Yarra, Vic. : Palgrave Macmillan. This week during Dance we looked at the body and how it can be used as a instrument and a tool to ‘explore ideas through movement’ (acara, 2013). During our group activities we worked with a stimuli of spoken words. Simply put, our tutor would call out with some key terms such (up and down, fast and slow, small and large) using these words we needed to create an 8 beat dance. We only had 2 minutes to complete this task, however, in the classroom this could be a whole 40 minute lesson. This is our final week of Music this semester and in class we worked on linking music to other KLAs. During the beginning of our lesson we were placed into groups and given a different subject to use along with Music. My group was given English and we decided that rap and poetry linked in well with the English syllabus (board of studies, 2011). Other groups also made the suggestion of using Dance in P.E, Musical patterns that could used in maths, Measuring the Volume of sounds in Science and The history of indigenous and Australian music in HSIE. Music can also be a great tool to use in storytelling. We look at Henry and Amy by Stephen Michael King. Both these books had elements, which could be further explored with Music. Using the book Henry and Amy, the Teacher could provide musical sounds which shared similar traits of Henry and Amy. For example Messy, unorganized jazz sounds to represent Henry’s personality and clear, simple, pop sounds to represent Amy’s personality. At the start our tutorial today we worked on our listening skills in music. We needed to hear to certain sounds and instruments. This was actually a lot harder than I thought. However, it is an important skill to have to ensure our students are able to distinguish the different elements of music such as (Gibson, R. 2011). We also learnt how to make use of technology in the classroom from different resources. YouTube was noted as a great resource as it has such a wide variety of music, which is free to access. In music this week we focused on singing and moving while performing. At the beginning we worked on different vocal techniques, which could also be used in the classroom such as having a Relaxed jaw, open throat and larynx position (vocaltechniques, 2010). We were spilt up into group and were asked to create and perform a rap song. In my group we took rounds and changed up the rapping parts for a more layered effect. Below is a video that was used in another subject. However, I feel that it could be a great resource to scaffold a rapping activity in the classroom for early stage 1 and stage 1. I also feel that the rap/poetry video below would be a powerful stimulus for stage 3. We also sang and performed ‘We got the music’ as a whole class and learnt different ways of grouping singers. Such as: Split up boys and girls, high and low singers and how the arrange them for performing.